Update: Thank you to everyone who came out and made our 2nd Annual Alex’s Lemonade Stand event a success. We raised $200, which will go directly to helping fund the fight against childhood cancers. 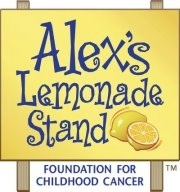 Alex’s Lemonade Stand Foundation is dedicated to eradicating childhood cancer. Click here for more information on the foundation or how you can get involved.